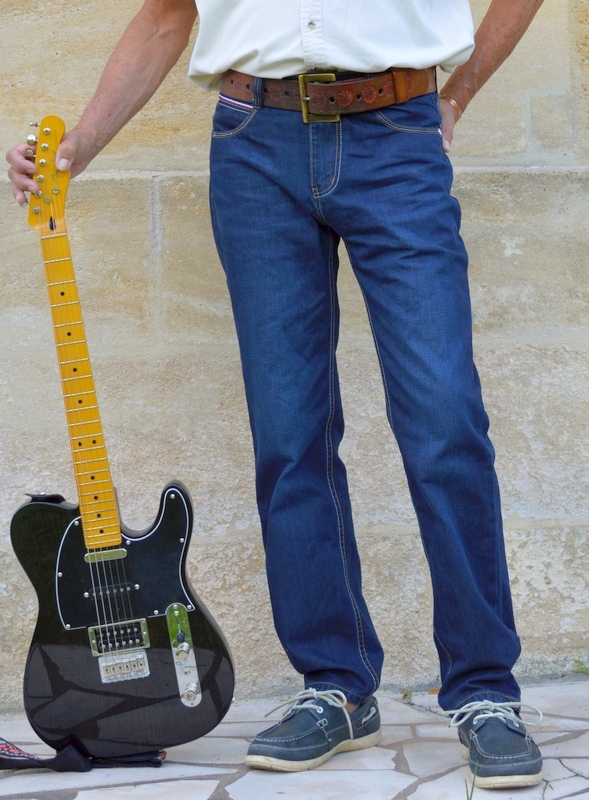 These well-made jeans are both very comfortable and decidedly stylish. Proposed to us for evaluation, the first task was to order the correct size. We settled on a size 33, after much debate and having read the note about Asian sizes being smaller. In retrospect, with a waist of 32 inches, we should have asked for a 32. 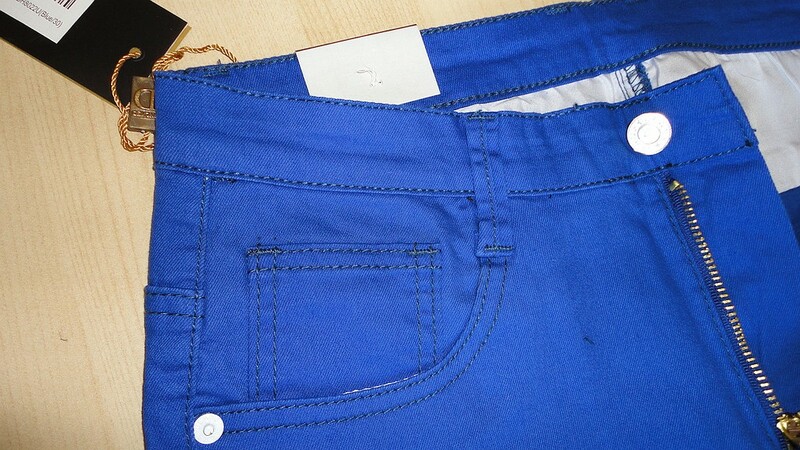 However, after a very hot wash and spin dry, the jeans have come in sufficiently to fit well around the waist. With regular washing, I believe they would not shrink much at all, so buy your normal size with confidence. The very good news is that, even after our extreme treatment, the length is great, which we did not expect as my husband is 6 foot tall and usually has to buy the Long version of jeans. You can check out our photos to see how they look . The style is described as regular straight leg, and this is spot on. Neither too high, nor too low, the fit is very comfortable, and because the fabric is smooth and accommodating, compared to the industrial-strength toughness of the original Levi's, they feel good on the skin and do not restrict movement. 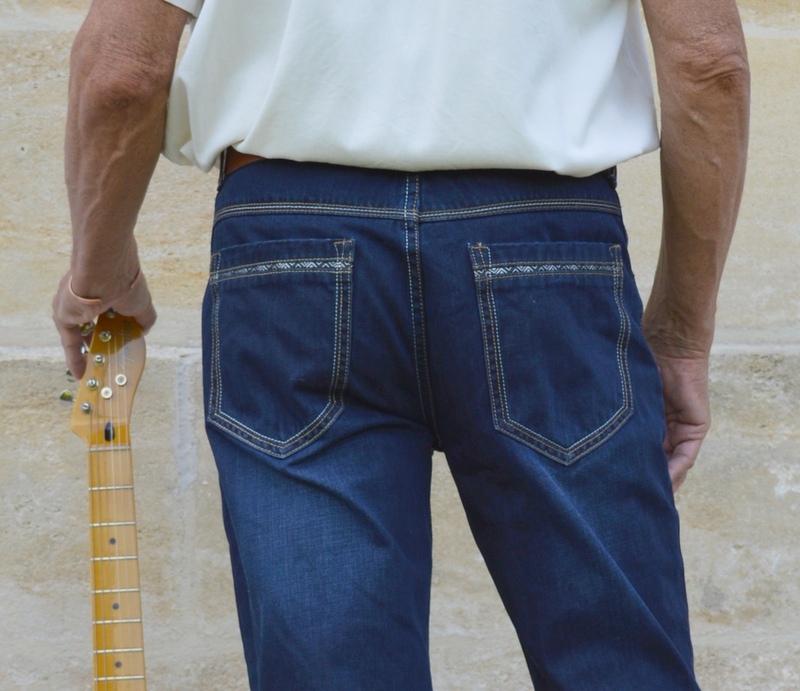 This style 8007 has a sturdy zipper closure with button-type stud, (the most convenient, I think), and features contrasting white and buff stitching and a rather elaborate detail over the back pockets. In one word, these jeans look urbane. Jeans for when you want to look smooth and casually elegant. The dark shade is beautifully saturated but is likely to improve with washing and a little weathering. 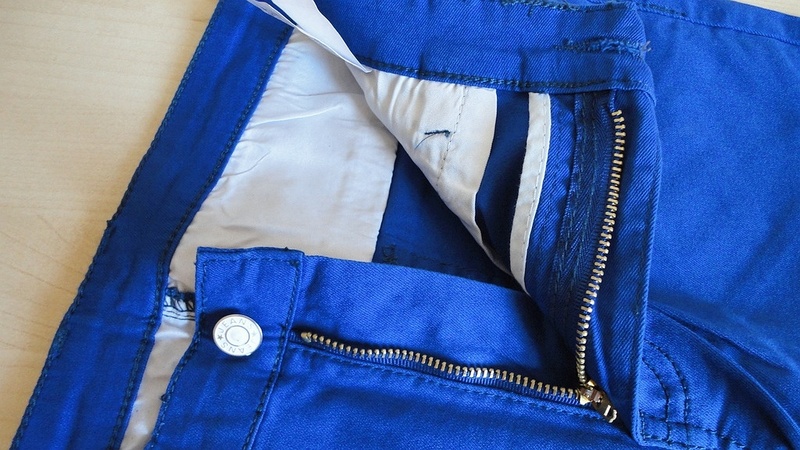 The quality of manufacture is very high, with careful detailing, including a partial lining of the waist area with the same small-check fabric used for the front pockets. Strong stitching, no loose threads, or visible imperfections. 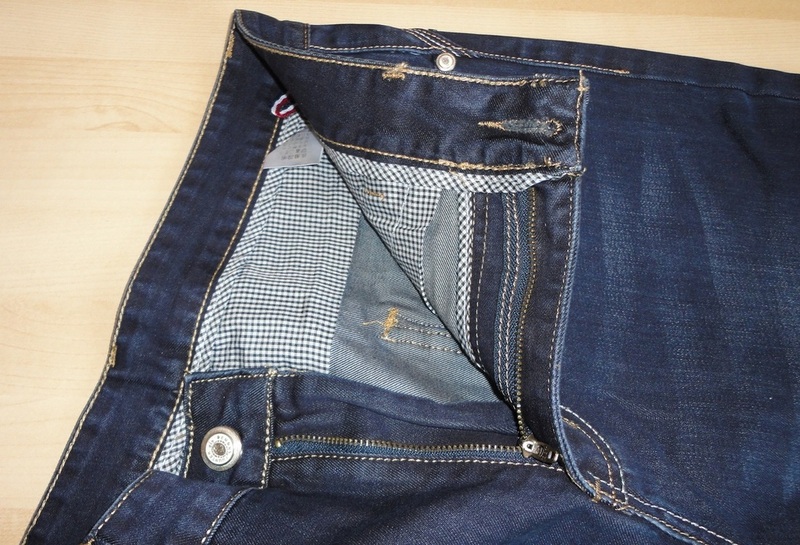 The back pockets are set rather low, so this style would best suit a regular or more muscular build. If you are very slim, I believe there are some Demon&Hunter styles, specifically described as Slim Fit. A quality pair of jeans combining distinctive styling, smart detail and a reassuringly classic cut. I think the selling point for these ladies jeans is the vivid colours and the extreme skinny cut. If you are looking for tight-fitting trousers, these will delight you. Despite their unforgiving cut, they are actually quite comfortable to wear, especially if you get the correct size. I was offered a pair of these to review, and I suspect, to assist in sorting out the thorny sizing issue. I spent a considerable amount of time studying the measurement charts, but when the skinny jeans arrived, they turned out to be too small for me. Not just too tight, as I can actually squeeze inside them, but decidedly too short. I haven't washed them yet, so cannot comment on the shrink factor. They are cut low, to fit on the hips but the shape is rather straight. The best advice I can give is to find your correct size based on the Size Chart (not the weight and height one) and then go up one or two sizes, depending on the size of your bottom. However, I still cannot see how the length is going to work, as it increases minimally between sizes. I will give my feedback to the manufacturer because I can see that the length could be an issue. I am 5'8”, waist 29”, and carrying a bit more weight than I used to, so a size 30 should have been fine, but it isn't. Talking of quality, the medium-weight cotton fabric has a bit of stretch, thanks to the 5% Spandex, is very comfortable on the skin and ideal for the warmer months. 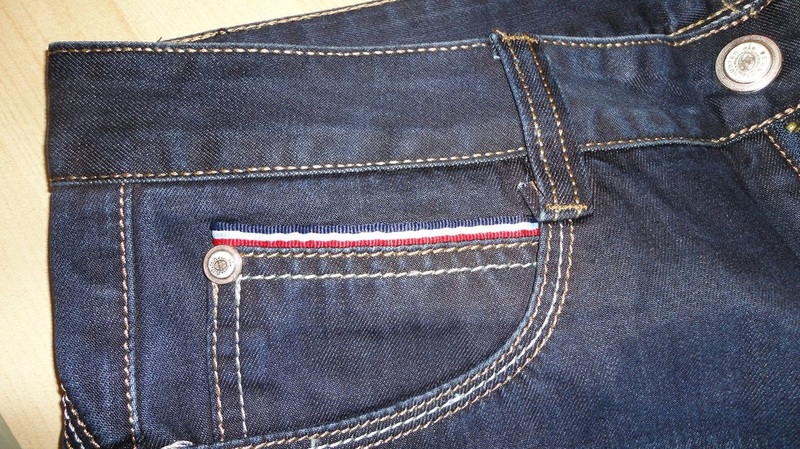 Finishings and stitching are tight and well executed, the short zip at the front runs smoothly and the jeans give the impression of being able to stand quite a few washes, despite the fabric being a little thin. Consider also that the lighter colours may be a bit see-through. Mine are blue, so no problem there. The colour is gorgeous, saturated, bright, a glorious cobalt shade, as you see in some travel photos of Greece. Because of the slim shape, they look great with high heels, but would also suit flats or sandals. You can check out our photos to see how they look, but please keep in mind that they would be even better if I had the correct size! !